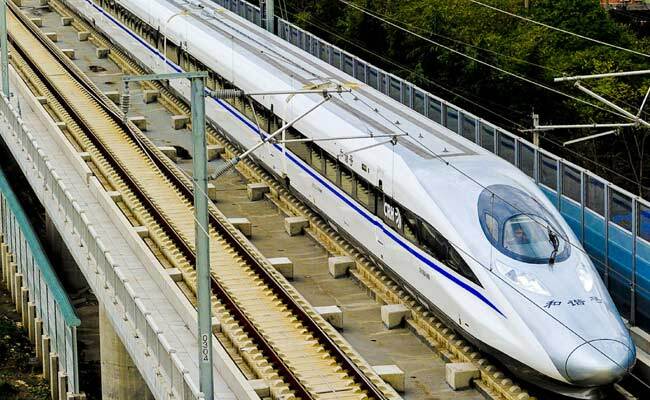 BEIJING: China today increased the maximum speed of bullet trains on the Beijing-Shanghai line to 350 kilometres (217 miles) per hour, six years after a fatal accident led to a speed cap. "These trains are so popular that the tickets for today already sold out a week ago," Xinhua cited Huang Xin, an official with the China Railway Corporation, as saying. The connection between the two metropolises is one of the country's busiest, carrying more than 100 million passengers a year. But the expansion -- which has cost hundreds of billions of dollars -- has seen a series of scandals and widespread allegations of corruption, with accusations that safety has been compromised for speed.